Compatible with any listed ANSI Z21.11.2 vent-free log set. * Please Note: This model is a direct replacement to the previously available Vantage Hearth LogMate Full-View Vent-Free Gas Firebox with Stacked Brick Liner VTFB32. For a radiant and fresh looking fireplace, check out the Superior VRT4032 Custom Series 32" Full-view and Universal Vent-free Firebox. 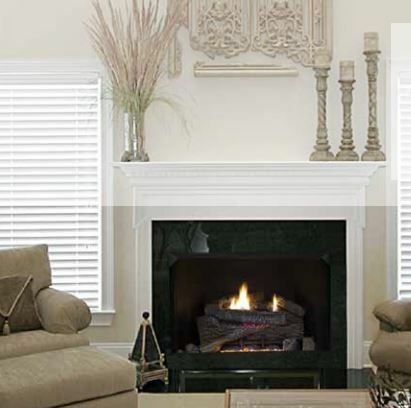 With a traditional masonry and flush to the floor design, it's the perfect way to finish your gas fireplace. It features a 24" tall opening and comes standard with hidden screen pockets and a factory-installed j-box. A standard hood (canopy) is required for all applications. You can also get a beautiful, textured interior of your choice. Refractory panels are some of the industry's finest and can be red or white and with a Herringbone brink design or Stacked brick design. Can this fireplace insert be installed on a screen porch? What do the different model numbers designate? 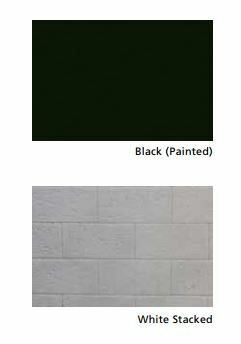 The differences in the model numbers denote the color and pattern of the brick liner. The units will be the same aside from this. I'm very happy with the final result. We needed a lighter weight firebox for an upstairs master bedroom addition. I wanted one that was a near flush to finish my floor unit. This one worked great, and saved us over $5,000, versus a site built two story masonry fireplace. Two of us were actually able to carry this firebox up the stairs to the install location. The PDF documents (with accurate measurements) enabled us to have all the framing ready before the unit even arrived. Good experience all the way around. Customer service people were super. Great communication.